Successfully Added Humidifier + Aromatherapy - 100ml Tank, Water + Essential Oils, Cooling Dry Mist, Automatic Cut-Off, Adjustable Moisture to your Shopping Cart. This humidifier & aromatherapy machine is the perfect accessory you desk or bedside cabinet. 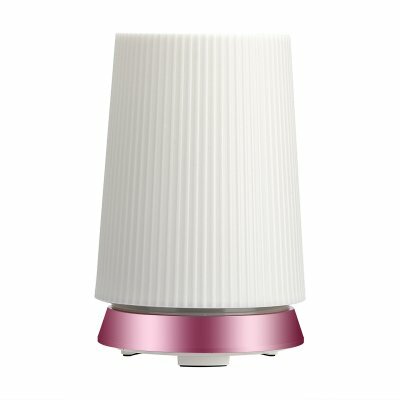 for people that wish to keep a healthy skin and general lifestyle they can now benefit with this compact desk humidifier. By adding moisture to the air, this humidifier prevents dryness that could cause potential skin irritations and with the ability to use essential oils you can bring wellness and balance to any space. Humidifiers have proven themselves to be effective for treating dry skin and numerous other minor health issues such as common cold and flu. Thanks to all these health benefits, this humidifier is a cool electronic gadget that should be present in every home or office. Using ultrasonic waves to instantly vaporize water and essential oils, this humidifier efficiently adds moisture to the air while simultaneously creating a great and relaxing scent. By creating a cooling mist, this humidifier and aromatherapy machine will leave you with a relaxing environment and abundance of benefits to enjoy. Featuring intergraded 7-color LED lights, this car accessory is a stylish gadget that is sure to add some tranquil colors to any room. With its 100ml tank, this humidifier allows itself to be filled up with plenty of water and supports a continuous usage time for up to 5 hours. While in use, it produces less than 35dB noise thanks to which you’ll be able to listen to the radio, talk or sleep undisturbed. The output of moisture can efficiently be adapted to your own liking and, in order to provide extra safety, the humidifier will switch itself off once the water levels run low. This humidifier comes with a 12 months warranty, brought to you by the leader in electronic devices as well as wholesale electronic gadgets..